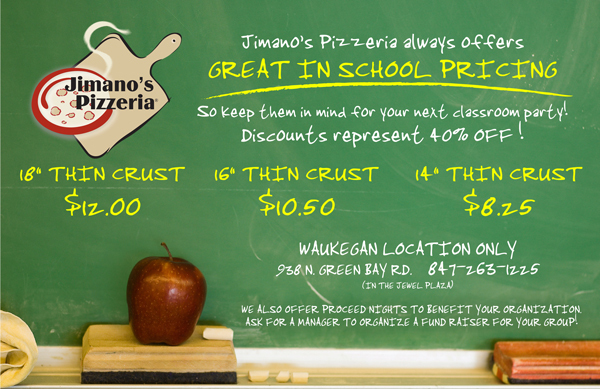 Jimano’s Pizzeria is a quickly-growing, award-winning chain based out of Chicago. 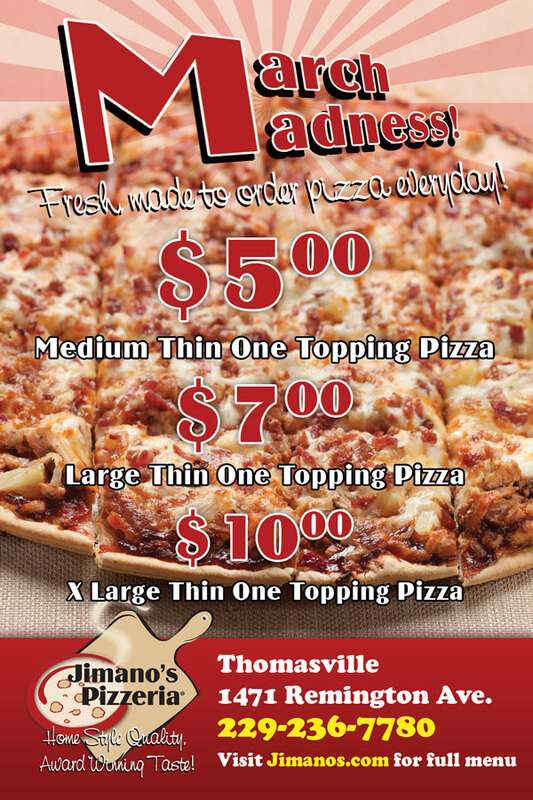 Since their opening in 1997 they have expanded and grown into 11 locations and mulitple states. TVI has partnered with Jimano’s to support them in the growth of their business and brand, helping to develop both store-level and regional-level branding and marketing campaigns. 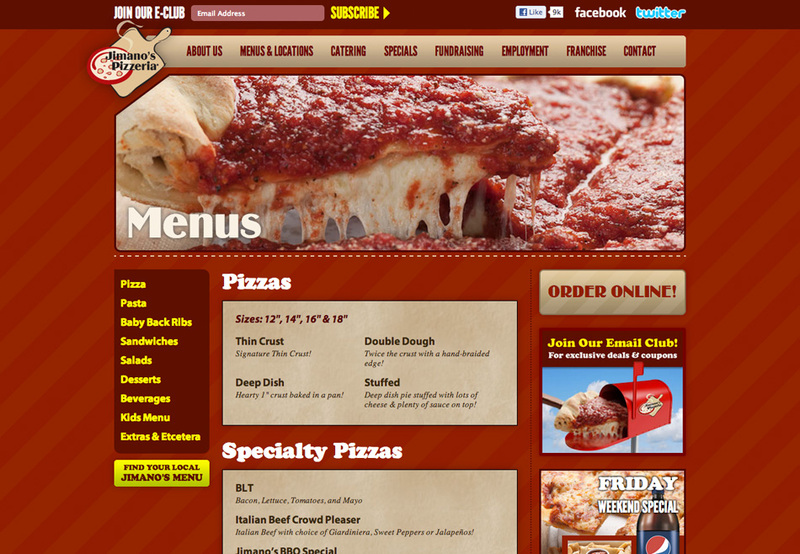 TVI worked with Jimano’s Pizzeria to redesign their dated website to make it more user friendly. 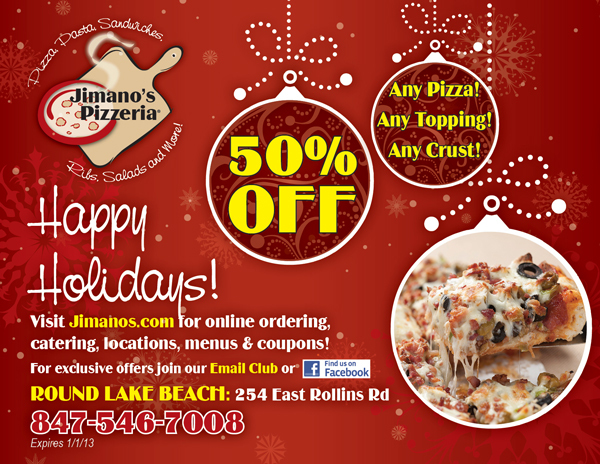 The homepage features large photos of their delicious food, daily specials, and an order online button all prominently displayed to get the visitor hungry. 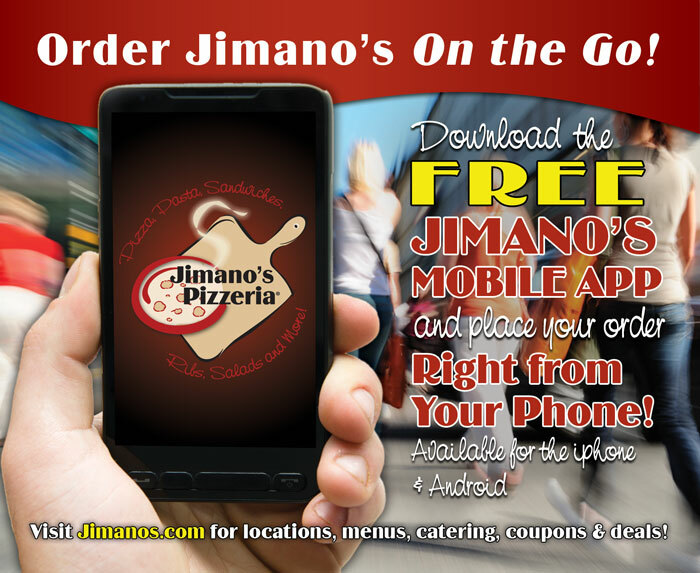 Locations and menus are easy to find and features an area code search to find your closest Jimano’s Pizzeria. TVI not only improved the user experience of Jimano’s website, but also made it look much more professional. As a chain of restaurants always looking for the next great franchisee, having a professional and informative website was important. The Franchise section of the website offers a wealth of information from general FAQs, to investment estimates, and a form to request more information. 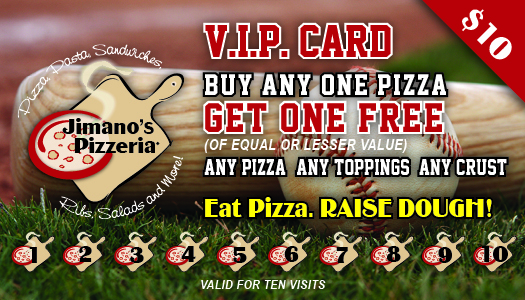 TVI had the same goals when taking over the print work for Jimano’s Pizzeria, bring it to the next level. 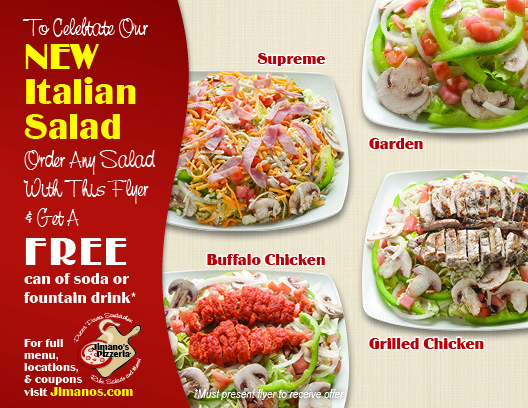 The flyers and ads Jimano’s had been using looked very local and not of the highest quality. 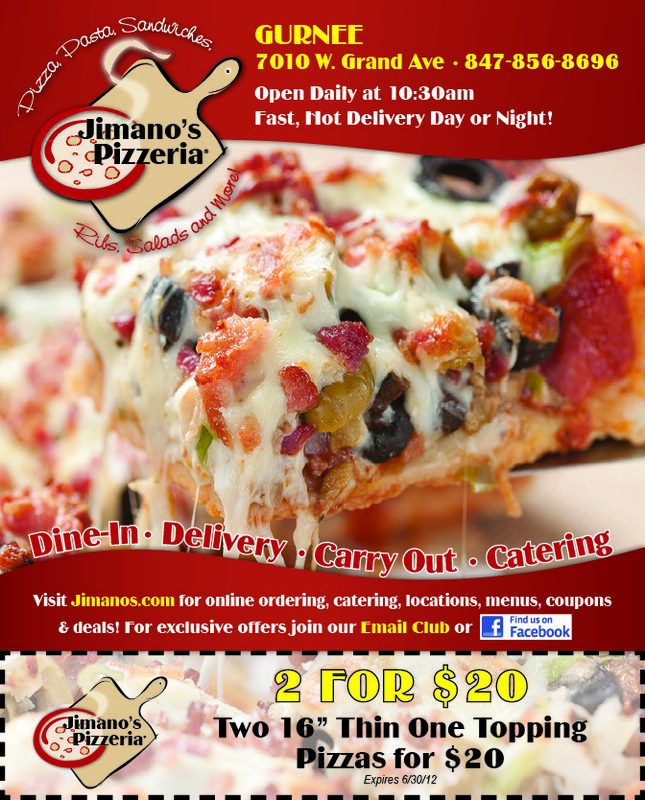 After taking new professional photos of their food TVI was able to upgrade their ads but still keep the Jimano’s Pizzeria style using their colors, fonts, and other Jimano’s elements. 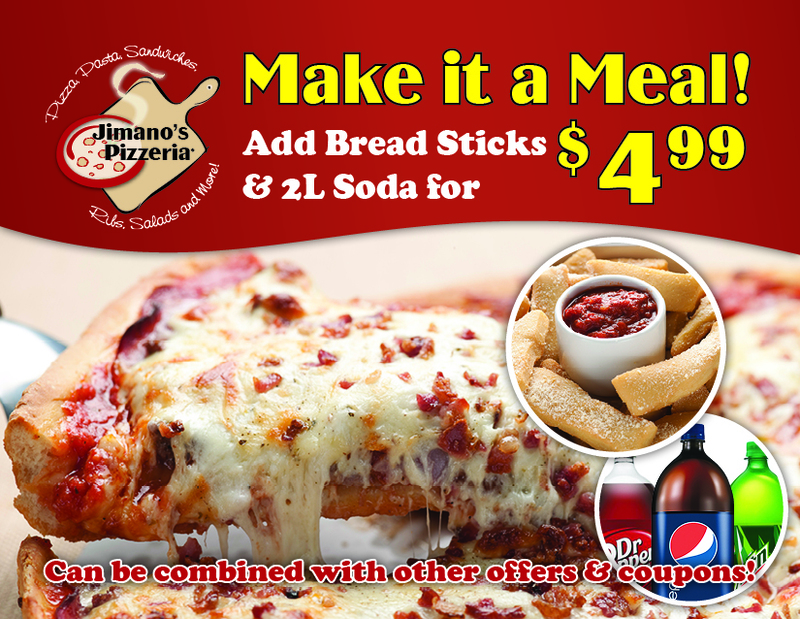 With 11 locations, there is always a steady stream of flyers, pizza box toppers, coupons and other ads to work on.